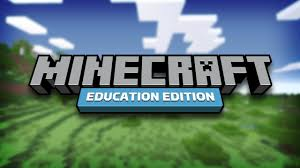 Minecraft Edu is a school version of Minecraft. In this offering, beginners to Minecraft will learn how to navigate through the different types of worlds and will be able to “craft” items to use in their game. Intermediate and advanced Minecraft players will be given a series of challenges to complete. This will be a fun night for all who participate. Space is limited to the first 23 students. Please pick your student up at 5:30 at the bus loading doors. Thank you.